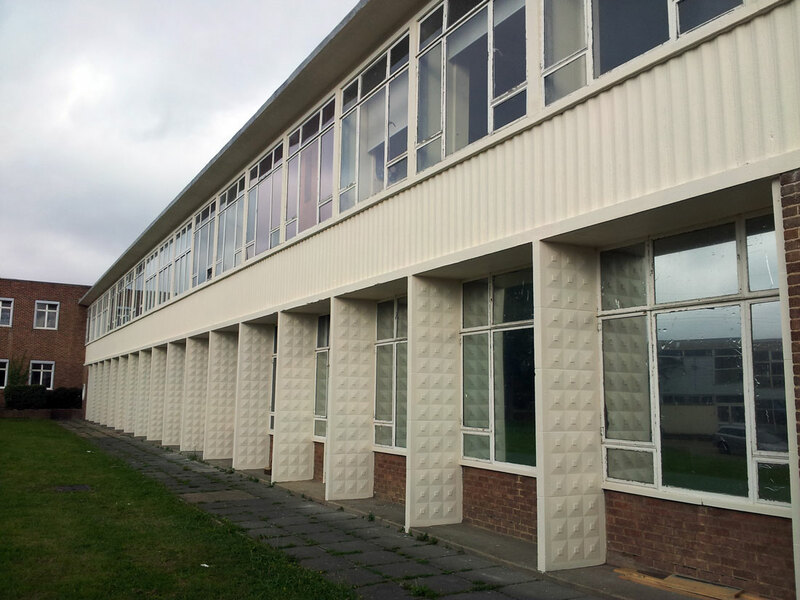 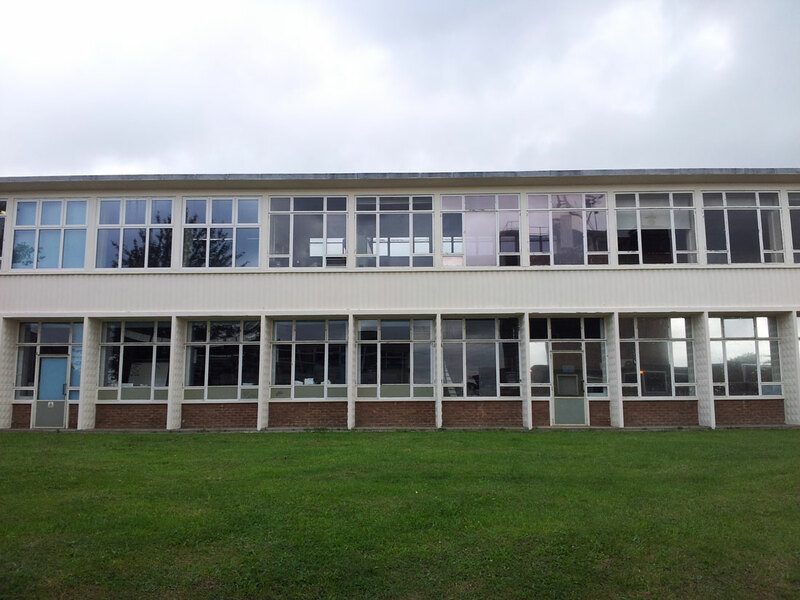 A low-rise school with various cracked and spalling concrete elements, including window surrounds, sills and decorative panels. 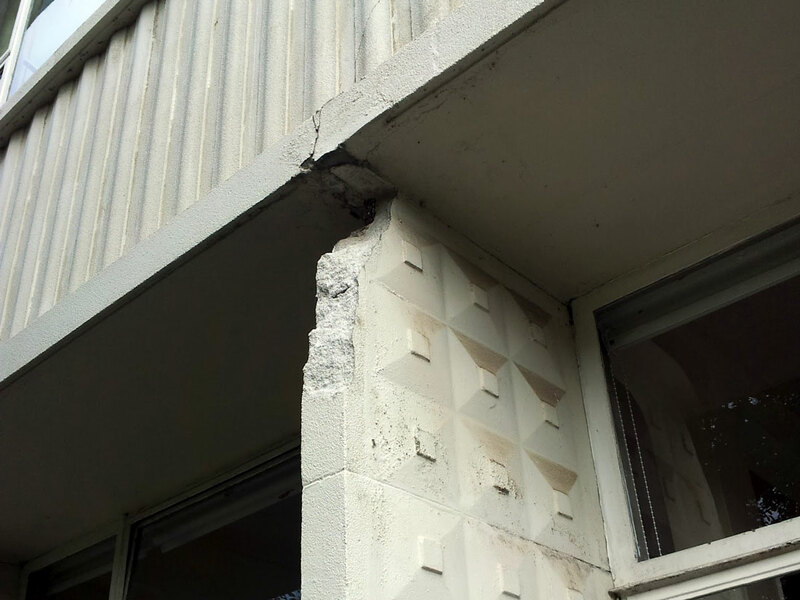 Water penetration was causing the reinforcement to corrode and concrete to deteriorate. 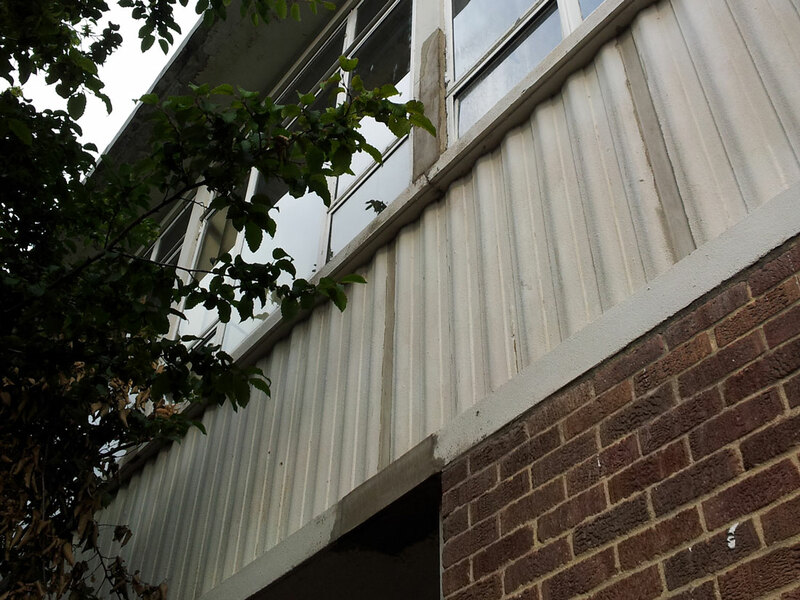 Flaking and peeling paint was also visible in various locations around the building. 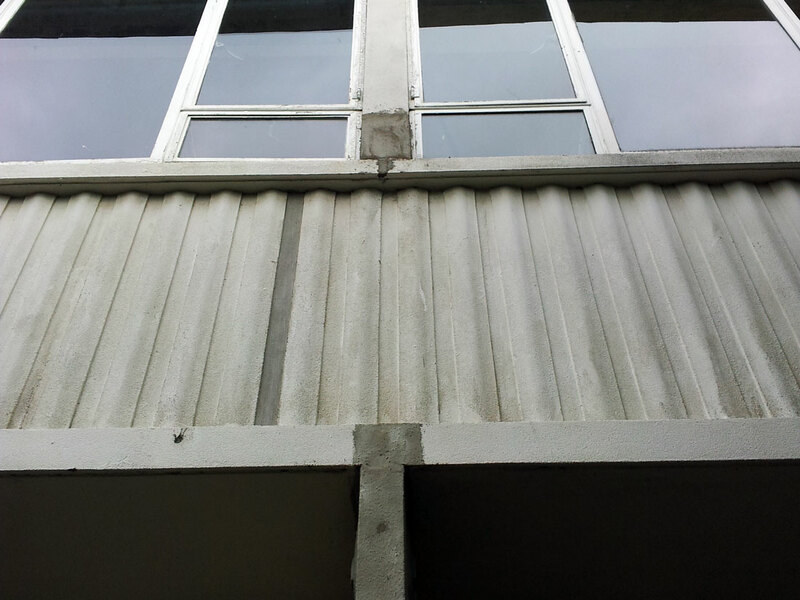 The Bersche-Rolt surveyor carried out a hammer test survey to establish the extent of the damage before Bersche-Rolt operatives undertook concrete repairs, which included the cleaning and replacement of corroding reinforcement. 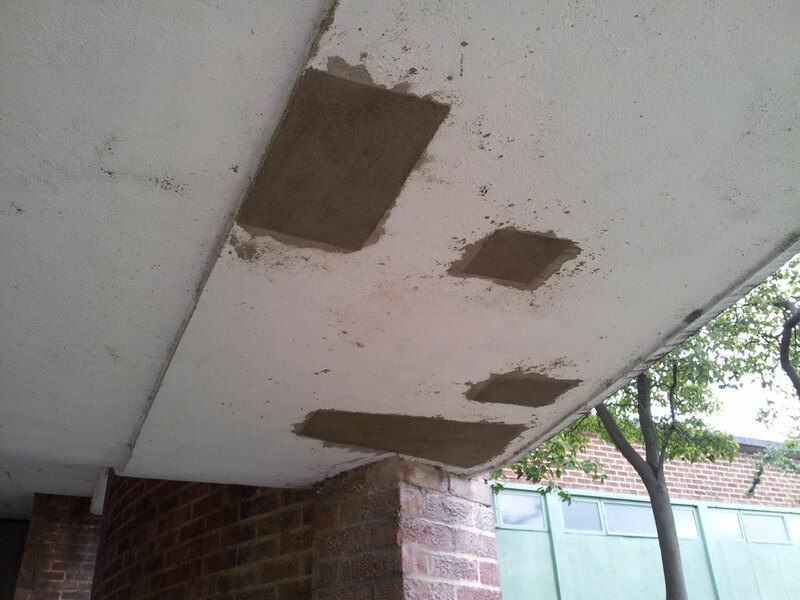 The completed repairs were then painted with an anti-carbonation coating to match the existing finish.